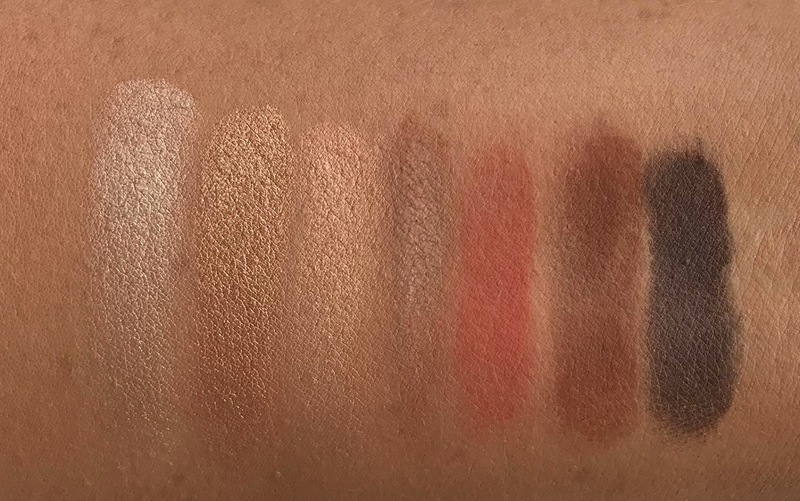 Swatches completely unedited. From left to right: Breakaway, Stranded, Blaze, Weekender, Still Shot, Riff, Good As Gone. Still Shot: warm peach matte. Riff: warm medium brown matte. Good as Gone: warm deep brown semi-matte. 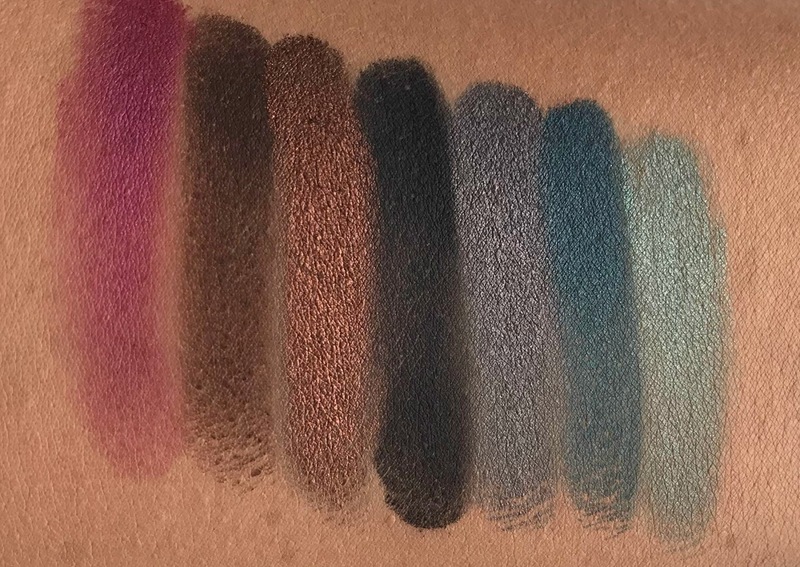 Swatches completely unedited. From left to right: Hell Ride, Baja, Accelerate, Guilt Trip, Ignite, Smog, Wanderlust. Hell Ride: deep berry-plum toned matte. Guilt Trip: medium purple shimmer with a hint of plum. 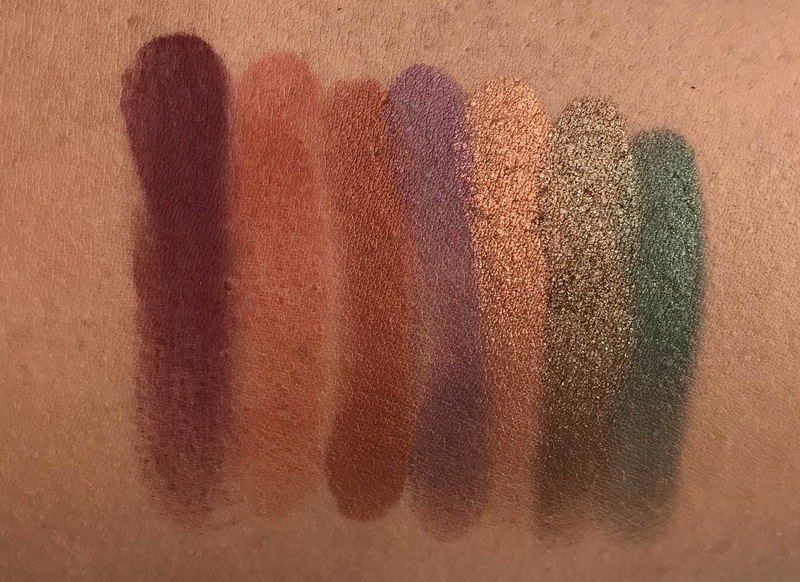 Swatches completely unedited. From left to right: Wildheart, Pink, Double Life, Jet, Drift, Radio, Big Sky. Punk: deep warm toned brown matte. Double Life: deep red toned brown metallic. Jet: deep black with very fine shimmer. Drift: deep charcoal grey shimmer. Big Sky: warm medium green shimmer. At £39.50, I think this palette is really good value - 21 very wearable & pigmented shadows with superb longevity. Ideal for anyone going travelling but also for any makeup lover as there are endless looks that can be created with this palette - you can play it safe or go all out! I can see this being my number one travel essential for the foreseeable future. 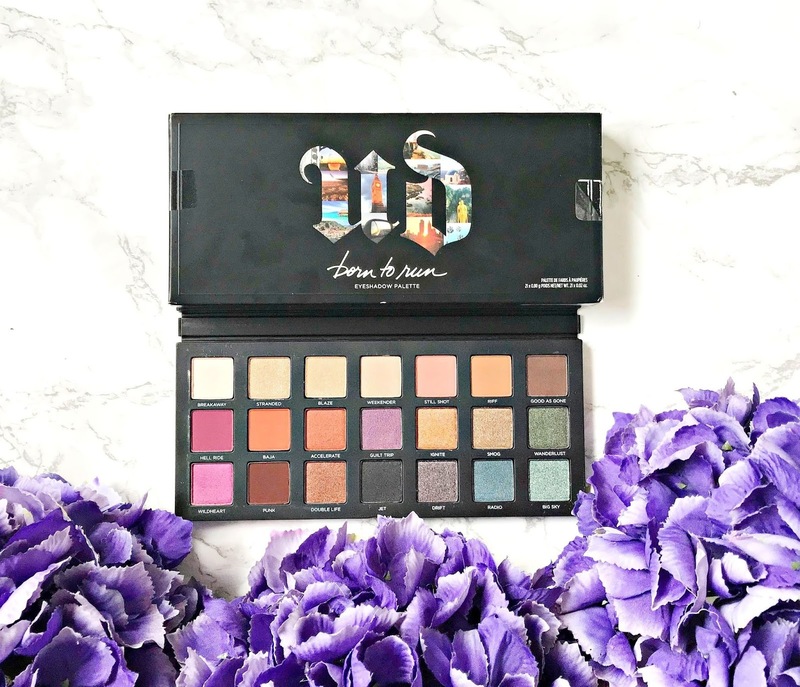 I'd love to hear your thoughts on the Born To Run palette? Are you a fan of the packaging and shade range? Available from Debenhams for £39.50 or €47.50 in Ireland, and don't forget to use your reward card to earn points!